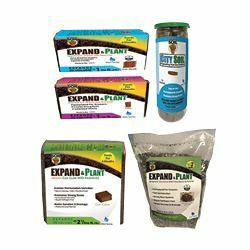 Takeaway: Boost the performance of your hydroponics system with the latest products available for indoor growers. This time we are featuring nutrients, lighting technology, and other assorted gadgets from: Growth Science Nutrients, Wonder Soil, HydroLogic, PreGro, VitaLink, Top Shelf Lighting, and Reiziger. These products are all #GoodtoGrow. Wonder Soil’s line of innovative lightweight soilless products made from coco coir is made to appeal to both novice and experienced gardeners. With micronutrients, worm castings, and mycorrhizal fungi, Wonder Soil promotes a stronger root system, faster germination, and enhanced plant growth. Offered in various sizes and formulas for different gardening applications, Wonder Soil products are lightweight and compact for shipping and storage, but expand to as much as seven times their volume when water is added. The inclusion of water-absorbing polymers in the patented formula allows a savings of up to 50 per cent of water, labor, and energy for up to four years. Wonder Soil comes in bricks, cubes, sheets, wafers, and granules, so there’s a product suited for any variety of garden applications. Wonder Soil Expand & Plant products are guaranteed to be low in salts and are available in both organic and conventional formulas. Step plant growth up a gear and go Turbo. VitaLink Turbo gives plants a significant boost both in flower size and general plant vigor. VitaLink Turbo contains L-amino acids and brassinosteroids. L-amino acids are the building blocks for protein in plants—protein plays a vital part during growth. Brassinosteroids are natural signalling compounds which instruct the plant on where to focus its energy, they are the main ingredients that contributes to the rapid increase of size and weight. VitaLink Turbo is highly concentrated and packed with the good stuff your plants need to thrive. 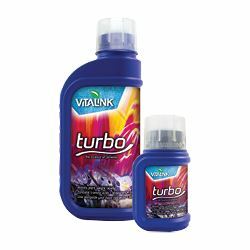 At a dosage rate of one milliliter per liter, VitaLink Turbo will last a lot longer than other boosters on the market. The HydroLogic micRO-75 might be small, but at 75 gallons a day of pure water production, it performs like systems twice its physical size. The secret is lots of features that are normally found on more expensive higher end water filters. 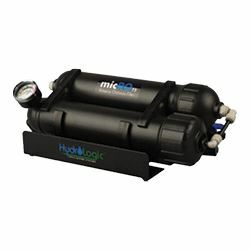 You get 75 GPD of pure reverse osmosis water, a replaceable KDF55 granulated catalytic carbon pre-filter (replace only the pre-filter, compared to most other systems with disposable housings), a garden hose connector, ¼-inch shut-off valve, automatic shut-off valve (for use with optional float valve), integrated pressure gauge with safe zones, and an external flow restrictor for an amazing 2:1 waste to product water ratio. All of the equipment comes on a metal bracket, so you can mount the micRO-75 anywhere or take it wherever you go. Like most of our systems, the micRO-75 is proudly built in the USA. Unlike common garden sprayers, the PreGro Plant Sprayer is easy to control, eliminating under- or overdosing plants. Gardeners can use the PreGro Plant Sprayer with their own pesticide or fertilizer solution to deliver a precise, continuous, and uniform spray to only those plants affected by unwanted pests. The portable PreGro Sprayer was designed to be an affordable and better alternative to trigger sprayers for plant laboratories and professional users. The PreGro Plant Sprayer also fits the needs of eco-conscious gardeners and provides optimal plant surface coverage while simultaneously avoiding harsh chemicals and waste. The sprayer atomizes up to 18 ounces of liquid and covers up to 120 square feet. 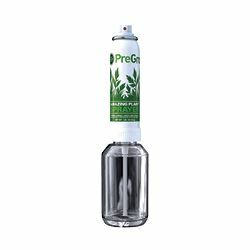 Each PreGro Plant Sprayer comes fully pressurized and secured to a 6-ounce glass container. Simple to fill, attach, and spray. Your final yield will suffer if your veg cycle is less than optimal. A flourishing vibrant plant in veg is key to every successful harvest. 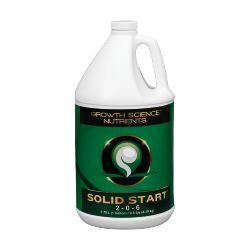 Solid Start from Growth Science Nutrients consolidates multiple additives and root stimulating compounds in to one powerful veg booster, designed to encourage explosive root growth and a large luscious canopy. Solid Start achieves such advantageous results by combining two types of cold pressed kelp—Norwegian Ascophyllum Nodosum and Giant Pacific Macrosystis Integrifolia. Giant Pacific Kelp is the fastest growing organism on earth, growing up to two feet per day. The extract derived from this remarkable gift of nature contains high levels of cytokinins and auxins that aid in exponential root and shoot growth for off the chart results. Reinforced with additional nitrogen and potassium, as well other secret additives, Solid Start is the ideal veg booster for every garden. There’s a formula for hydroponic success. For Dutch hydroponic master gardeners, growing is an art form. It’s about long-standing craftsmanship and the unique blend of art and science. To help them master their craft, Dutch breeders and growers swear by Reiziger. More than just a multi-stage fertilizer blend, Reiziger hydroponic nutrients represent a leap forward in nutrient formulation for sophisticated connoisseurs of plant botany. 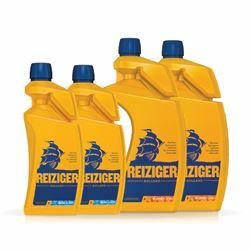 Reiziger is formulated from the original recipes used at the legendary Seed Bank of Holland in the 1980s. Proudly made in Holland, using only the finest quality ingredients, nothing has been left to chance in order to enhance the cultivation of your fast growing crop strains in hydroponics under grow lights. It’s only natural that hydroponic growers might want to opt for the same consistent harvests achieved by experienced Dutch craftsmen for more than 30 years. Search for the ship on the gold bottle. The DuoLux 600 Horticultural LED lighting system is unlike anything else on the market, boasting 189 Bridgelux 5W LED diodes, in addition to four massive CREE COB chipsets. This translates into well over 1700 PPFD striking the canopy at 24 inches away, with unprecedented high PAR penetration deep into secondary and tertiary growth levels, achieving far more marketable growth sites per watt than ever obtained with HID lighting sources. The vegetative setting powers four white light CREE COB arrays, drawing a mere 263 watts off the wall. The flowering mode activates the 5W Bridgelux arrays, consuming a scant 322 watts of electricity. 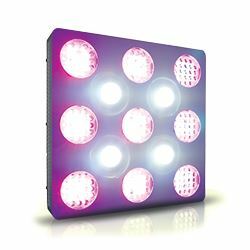 Full power illumination is achieved with both systems in operation simultaneously, producing blinding amounts of light with a low energy expenditure of only 585 watts, making the DuoLux 600 the most powerful 600W available on the market for plant production.